In Disney’s latest family friendly movie Zootopia, we see a strange world. A world where animals, both predators and prey, get along. The animals live together in a happy society. They thrive by working with one another. Having seen previews for this movie, my wife was excited. She wanted to see the animated animals and watch the new Disney movie. I’m glad I listened to her desire to see Zootopia. Not only was Zootopia a fun movie, it provided me a chance to look for leadership lessons in the movie. It may seem impossible to small minds but…. I love the power behind this quote from Judy Hopps, the protagonist of Zootopia. Judy was always thinking BIG. She knew what she wanted and she knew what needed to be done to get there. Is your mind open to the possibilities out there? Or, like the animals Judy was telling this to, do you have a small mind that only thinks of the easy solutions? 2. People will try to talk you out of your dreams: Judy had dreams that would scare many in her position. She was a small bunny that wanted to become a police officer. She wanted to protect the world. She wanted to see justice. She wanted to make a difference. Yet there were those who would try to talk her out of this dream. Her parents. Her teachers. Her classmates. No one believed Judy could become Officer Hopps. Still, she didn’t let that deter her. She pushed towards her dreams and made it happen. You’ll face the same type of opposition. Probably from the same people. It’s hard to have loved ones and friends tell you to tame your dreams. But it’s your choice on whether or not you pursue them. Awww… That poor little bunny is going to be eaten alive. This was a stinging comment to poor Judy. She had graduated from the police academy, not this one but still a police academy, and she was still being picked on. There will be those who think you don’t have what it takes even after you’ve proven yourself. They’ll feel like you still have more to prove. Well, that’s on you now. Prove those who doubt you wrong. Work hard. Get things done. And lead well. 4. Things will be misrepresented: After Judy graduated, she had to move to the big city. Upon her arrival, the apartment landlord showed her the “luxury” room she would be renting. The conditions in that room were less than luxury. Bare-minimum if you ask me. People will misrepresent situations and themselves. Don’t fret over that. Instead, make the best of the situation. Find where those people fit. Figure out how to resolve any issues that may arise from the misrepresentation. Then get to the task of doing the work. As much as we want people and teams to get along, the truth is that there will be problems. Fred won’t get along with Sam. Tempers will flare. Disagreements will be voiced. Know this going into leadership and don’t force agreement all the time. Instead, seek ways to learn from the times people don’t get along. 6. Our hopes and aspirations will differ from our parents: We already know that Judy’s parents thought she shouldn’t become a police offer. They wanted her to take the safe route and become a farmer, like they were. Your parents may be the same way. 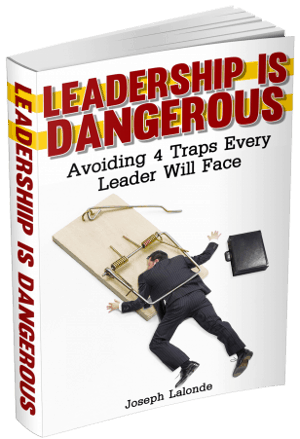 They see leadership or entrepreneurship as dangerous. They’d rather you stay in the family business or work in a manufacturing factory or to stay in school. They want your safety. That’s okay. You have to be your own person. Live your life. There are a lot of people out there who will tell you that you don’t have to work hard to make your dreams come true. You can dream it and do it. No work needed. That’s a lie. A big lie. Making your dreams come true takes work. Lots of work. 8. We overlook our own skills: In probably one of the funniest moments of Zootopia, we see Yax, voiced by Tommy Chong, talk up the memory skill of Nangi, an elephant yoga trainer. He brings Judy and Nick to see her. All the while, Yax tries to jog the memory of Nangi while spilling the details himself. Yax remembered. He had a great memory. He didn’t see it. Are you like Yax? You probably are. We all have skills that we downplay or disown. Begin looking at yourself and seeing what you have to offer. It’s more than you think. 9. Do good deeds: Early in the movie, Judy saves a rodent from a giant, runaway donut. This good deed comes back to help her later in the movie. We don’t do good deeds to have them reciprocated later on, though that may happen. We do good deeds because it is the right thing to do. Zootopia began to freak out after they discovered the animals who were predators started to attack people. While it was only a small number, it was scary and the prey animals became frightful. They wanted something done. They wanted the predators gone. Gazelle, voiced by the singer Shakira, stood up and said this isn’t right. This isn’t what Zootopia is all about. We’ve got to be willing to step up and speak what is just and true. 11. Your words can bring life or death: Gazelle stepped up and told people how Zootopia used to be after Judy shared what she had discovered in regards to the missing animals. Judy’s words spoke death into Zootopia. It whipped up a frenzy. Had Judy chosen more wisely her words, things would have been different. As it was, her words changed Zootopia. Your words matter. It’s like the Bible says in Proverbs 18:21, The tongue has the power of life and death, and those who love it will eat its fruit. Be careful with the words you speak. They will impact those you lead. I came here to make the world a better place. I think I broke it. Judy had great intentions when she came to Zootopia. She was going to make the world better. She didn’t. She caused mass panic to spread throughout Zootopia. I loved seeing Judy step up and admit she’d made mistakes. That’s what leaders do. I’ve always loved bumper stickers. They seem to boil down complex thoughts into simple words. While we want life to be simple and easy, it’s not. Life is so complex and difficult, people struggle to navigate through it. Stop living life like a bumper sticker. Live life with all the challenges and joys and struggles and happiness and pain and ickiness that it encompasses. That’s the only way to live. Question: Have you seen Zootopia? If so, what leadership lessons have you taken away from the movie? If not, what was your favorite quote or leadership lesson I shared? Let’s talk about it in the comment section below.